This five-star all-inclusive resort lies close to the seaside village of Rio Bueno, and offers visitors a glamorous-yet-relaxing refuge from the throngs of tourists and touts. Situated on Jamaica’s beautiful north coast, halfway between the two resort towns of Ocho Rios and Montego Bay, is Meliá Braco Village. This five-star all-inclusive resort lies close to the seaside village of Rio Bueno, and offers visitors a glamorous-yet-relaxing refuge from the throngs of tourists and touts. 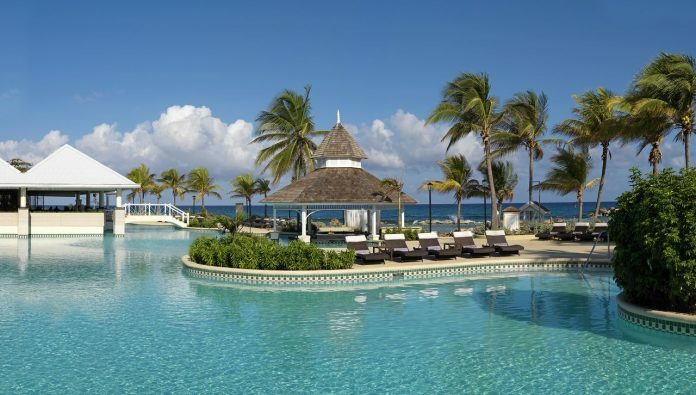 Since its renovation in 2016, this upscale resort has been busy cementing itself as one of Jamaica’s leading retreats. The quiet location of Meliá Braco Village belies the wealth of activities in and around this area; with white-sand beaches, jungle-wrapped mountains, roaring waterfalls and lively towns all just a short drive away, it’s an excellent base to discover Jamaica’s varied landscape and unique, laid-back culture. Alternatively, if you’re just looking for a lazy beach holiday then the resort does that well. The colonial-style architecture and wide cobbled streets are reminiscent of nearby Falmouth’s town square, and you can amble along sipping fresh coconuts and raw sugar cane juice, following the smell of jerk cooking floating on the breeze. Anyone who wants to explore the island’s attractions but also enjoy the luxuries and amenities of a large resort. The pristine beach location, private events rooms and multiple gazebos make it a popular spot for weddings, although the kids clubs, children’s facilities and babysitting services are attractive to families too. Predominantly, however, the resort seems to welcome couples. There are 232 guest rooms and 52 suites set amongst the acres of landscaped lawns. The decor is light, bright and contemporary, with lots of natural wood and cool cream tones. 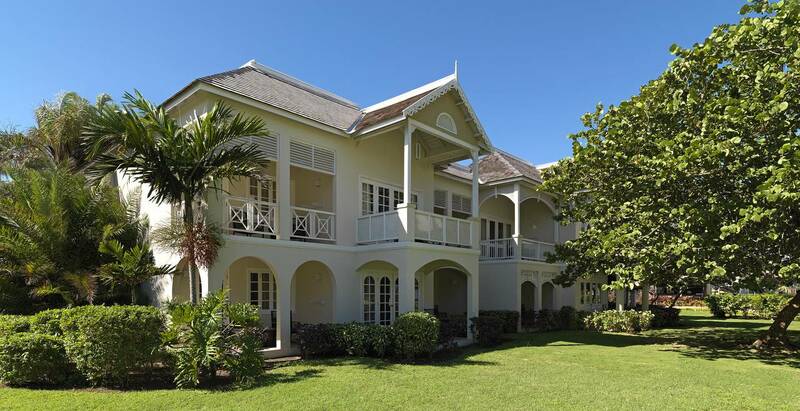 French doors open up onto private balconies overlooking the beach or lush gardens. Each room comes with a fridge and mini-bar, iron, Nespresso coffee machine, 42-inch smart TV, safe, bathroom amenities and 24-hour room service. Upgrades are available to Meliá Braco Village’s premium suites, part of THE LEVEL. 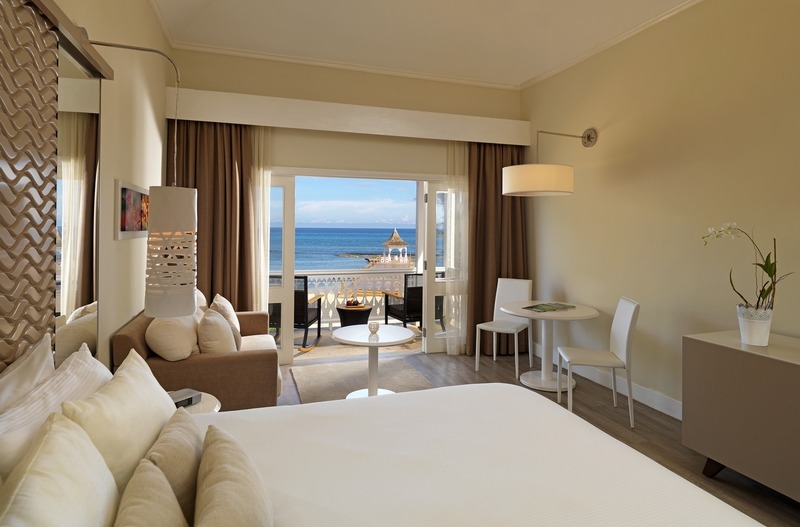 All suites within THE LEVEL are on the beachfront: you can literally open your French doors and step onto the sand. 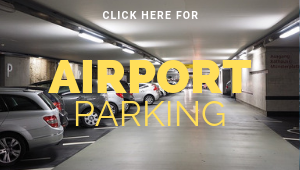 Guests of THE LEVEL also gain access to a private pool, VIP Lounge and the Golden Sands restaurant, as well as enjoying a private check-in and transfers to and from the airport. There are five restaurants throughout the resort, so there’s something for every palate. 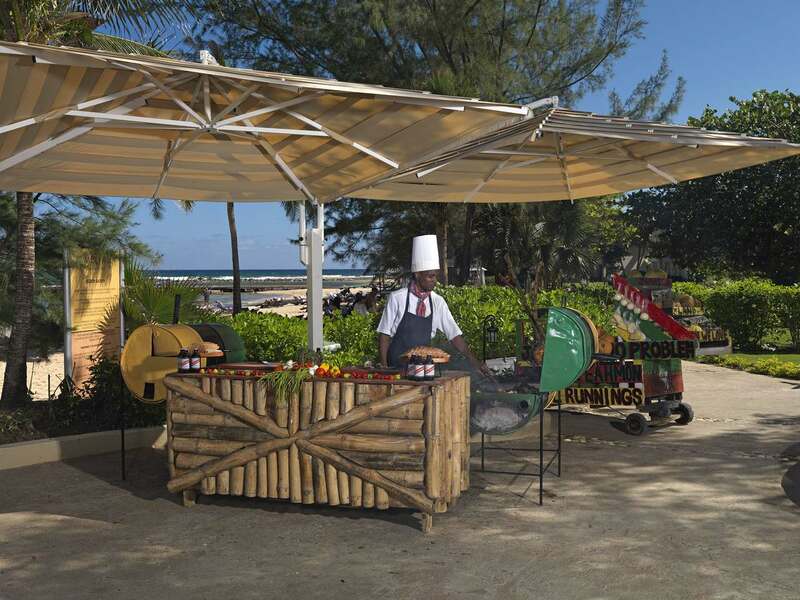 The beach-facing O’Grille serves up traditional Caribbean dishes like jerked meats and fresh fish; Rasta Pasta serves all the Italian classics with a creative Jamaican twist; and Nikkei Restaurant merges Japanese, Chinese, and Peruvian cuisine at Teppanyaki-style tables. Breakfast is served at The Market Place, a open-kitchen concept that looks out onto the pool, and 876 Prime steakhouse is the most formal restaurant onsite. Jigger Bar is the place for pre- or post-dinner cocktails, and The Shaker is where to head if you want to party. With the resident DJ playing tunes til 1AM, you can find guests and staff alike throwing some shapes on the dance floor. Two swimming pools and two beaches provide all the sun-and-swimming fun you could wish for, and water sports like sailing, canoeing and snorkelling are all available. Sporting facilities include a 24-hour fitness centre, football pitch, basketball court, tennis court, and you can also have a go at volleyball, ping-pong and games. For something more chilled you can enjoy a spot of pampering at YHI Spa, where you can indulge in a whole host of body treatments, facials, massages and sauna sessions. The resort also has a beauty salon where you can get a variety of hair, nail and skin treatments. Business travellers can take advantage of the business centre and meeting and events rooms. Yes, it’s free and available throughout the resort. Rates begin at £200 for guest rooms. THE LEVEL suites are from £366. The village of Rio Bueno is a three-minute drive away, and the colonial town of Falmouth is about 25 minutes away. The airport, bars, restaurant, shops and facilities of Montego Bay are under an hour’s drive away, and Ocho Rios and its many attractions, like Dunn’s River Falls and Rainforest Adventures Mystic Mountain, are 50 minutes drive. Further afield – just under a three-hour drive – is the charmingly ramshackle town of Port Antonio, which is well worth a visit (be sure to check out the excellent market). The famous Frenchman’s Cove and beautiful Blue Lagoon are just five minutes from the town. Merging sundrenched tropical luxury with a relaxed and authentic ambiance, Meliá Braco Village encapsulates what’s best about Jamaica. 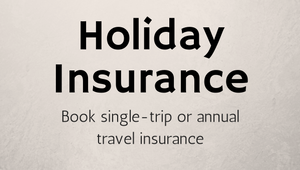 Previous articleBook cheap ski holidays: ski deals including lift pass in up to 500 resorts!